You love your iPhone 6 and you are using it on a daily basis. Unfortunately, you drop it on the ground and now the screen has shattered into pieces. What can do you in that kind of a situation? You can either throw away your iPhone 6 and purchase a new one or get the screen repaired. However, you will have to spend a fortune in order to throw away your iPhone 6 and go for a new one. Therefore, repairing the cracked iPhone 6 screen can be considered as the best option available to you. 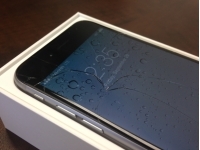 One of the common problems that iPhone owners face is a cracked screen. 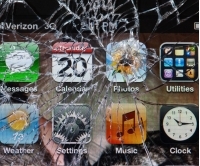 Cracking the smartphone screen can ruin one’s day. And it can ruin one’s week or even month if there are no decent iPhone screen repairs Cardiff options. 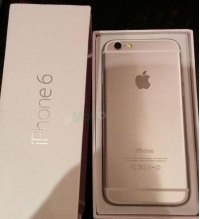 The iPhone 6 and iPhone 6 Plus is considered to be one of the best high-end smartphones in the market. Sophisticated features, stylish look, large screen, and cutting edge technology are incorporated into these phones, which have led to a spike in demand for the iPhone 6 and 6 Plus in its pre- and post-launch phase, which continues to grow at a steady rate. 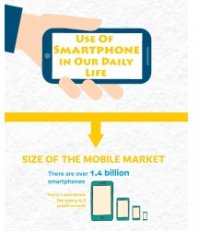 Ever wondered what people use their iPhone or smartphone for on a daily basis? Hopefully this info graphic will answer some of these niggling questions. Smart devices like iPhone, iPad or Samsung are loaded with extremely advanced features – new versions are released every few months and they only get better! However, it doesn’t make them immune to issues like malfunctioning volume controls, water damage, battery problems, and so on. Today we're focusing on our 'Walk-In' Repair Service, available to those living in or near the Cardiff Area. A short animation highlighting the iPhone repair services we offer in Cardiff and UK wide, including our efficient customer support. Welcome to the first instalment of our new monthly video series for iPhonefixed! Keep updated by subscribing to our channel and following our links.